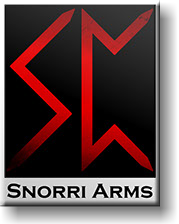 Snorri Arms is a company based in Belgium. 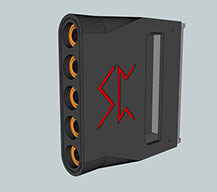 We make custom airsoft, cosplay and LARP gear. 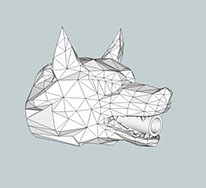 All our product are designed using CAD software, 3D printed in plastic and then finishing work to get a perfectly flat surface and finish before painting. These processes take a lot of time and work, making unique pieces is time consuming but the reward is having a gun nobody else has. However for multiple orders (at least 10 units) I can make a master mold and produce the same quality product for a greatly reduced cost.